jeffdean, reg26 and wethead like this. That is one beautiful motorcycle. All the talk and pics of painting parts of our RT's made me want have mine done. 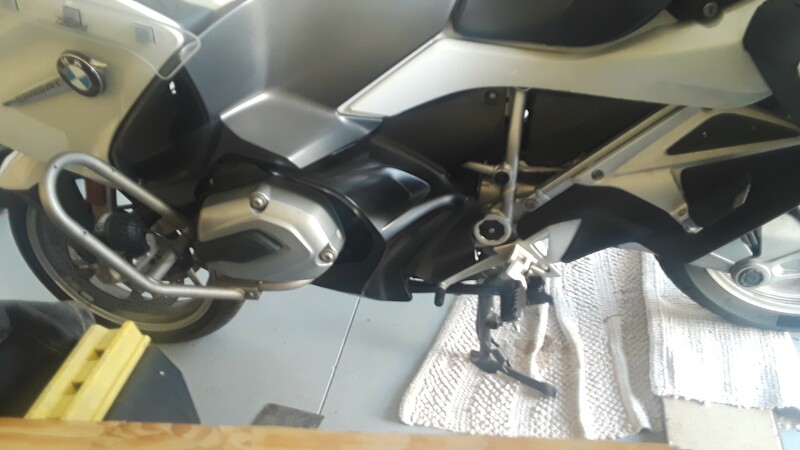 I decided to leave the bottom parts black (for now - lol) to match other areas of the bike, but had the windshield holders and knee areas below the tank painted white to match the main bike color. Here are some pics. AttackPug, LAF, Dann323 and 2 others like this. Well done, looks great. If it were mine I would add a few tasteful black pinstripes. My Alpine white R1200RTW turned Granada red. Last edited by jeffdean; Mar 3rd, 2019 at 9:32 am. Wow that is cool, never saw anything like that. Did you make those yourself? Does your bike have Aeroflow Aerowings fitted? If so, what are your thoughts about them? I am not sure if you are kidding back at me, but I was just being a smart-allek. 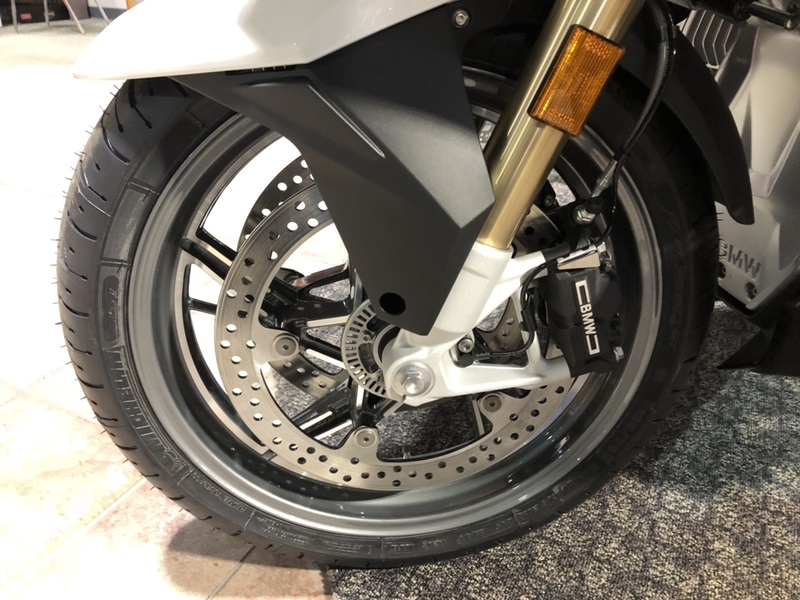 Those are splash guards that are fitted on the RTP, apparently to keep debri and mudd from dirtying the cute boots solo cops wear. At any rate, I ordered them from a Beemer shop and install them. They sort of cover all the openings in the frame. Someone on this board turned me on to these. There is a thread around about it. The aeroflow wings work well. However, in order to really create a complete pocket to keep ALL the wind out, I would suggest the winglets someone designed on a 3D printer. They go onto those two smaller pieces of windshield coming out of the front. The stocks don't do anything if you ask me. I also have the Quiet Ride shield, which in my mind, is the only shield that really, really works to get that buffeting out of your life--and still see over the shield. The winglets you can get from aeroflow. How do you rate your Aerowings? Have you ever owned a GSA. My '18 RT is much harder to push around the the garage than a GSA. 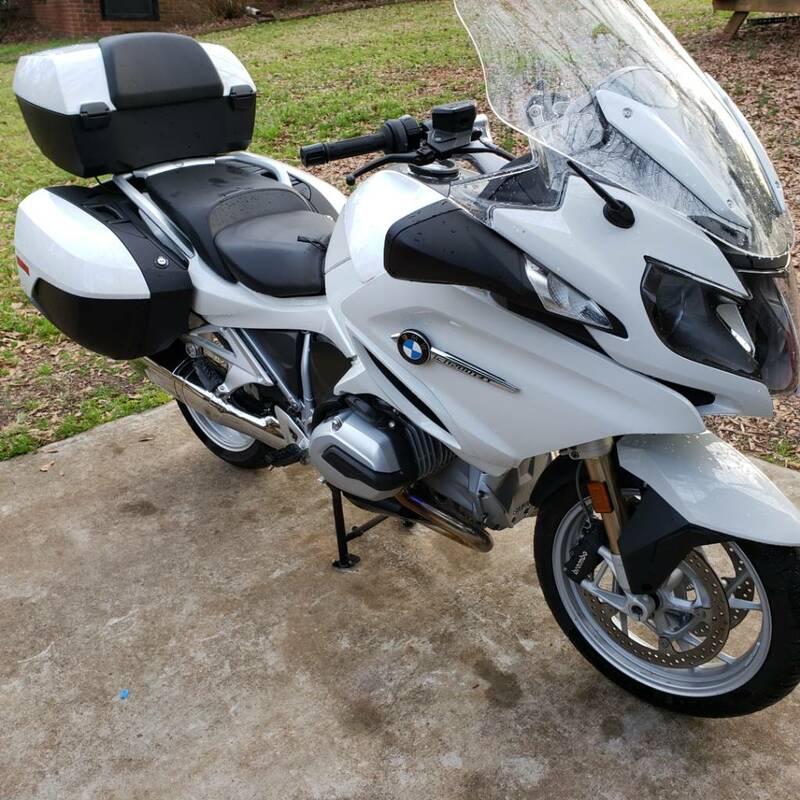 No sir, never owned a GS. I never ride off road and I don’t find them to beauteous. 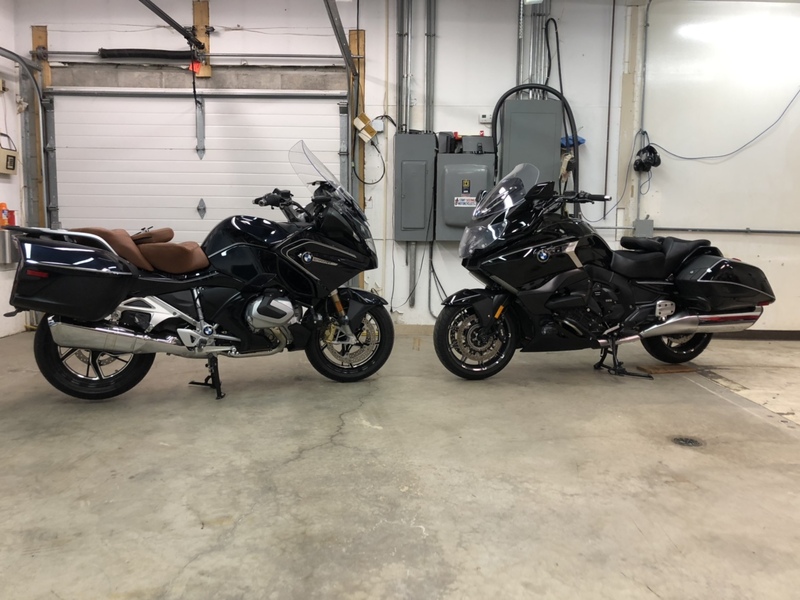 You say you have both, but then you just told us you have never owned a GS. You have owned both of what ? And so therefore the RT is easier to maneuver than what? Andy, he'd posted a picture of a K1600(B? 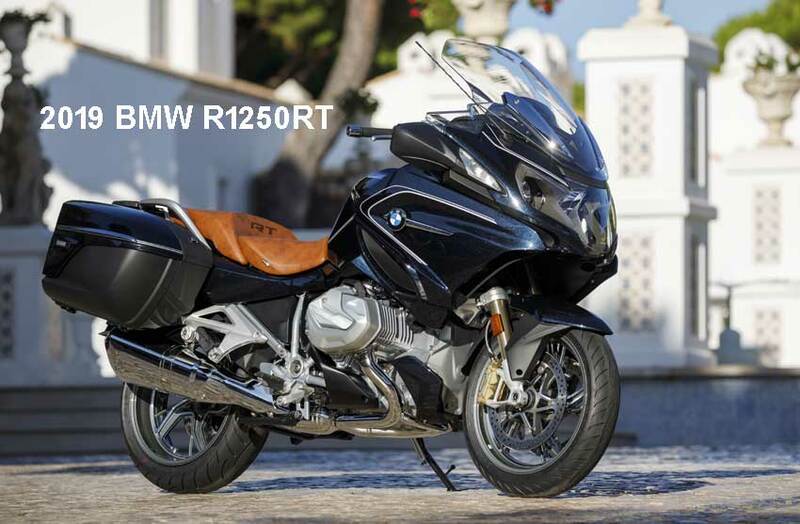 ), and so I assume that he meant both K1600 and the RT! Had the chance of running a 1250GSA for the day. Nice bike, but man, in comparison to the RT, it is so tiring at higher (motorway) speeds. Also, the road / tyre noise coming through the gap between the fairing and the forks is louder than I could live with. I can also see the riding position would work for some. Not for me. The bars are WAY too wide. Not keen on having to turn my head / eyes so much to check the mirrors. My 1200RT Wethead mirrors are great in comparison. 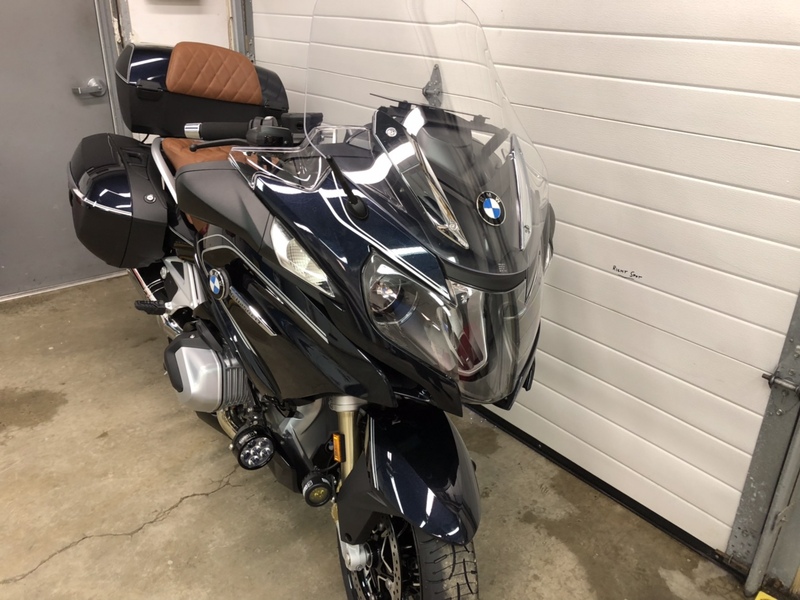 Although I can also see why people may add handlebar mirrors to complement the fairing mirrors. 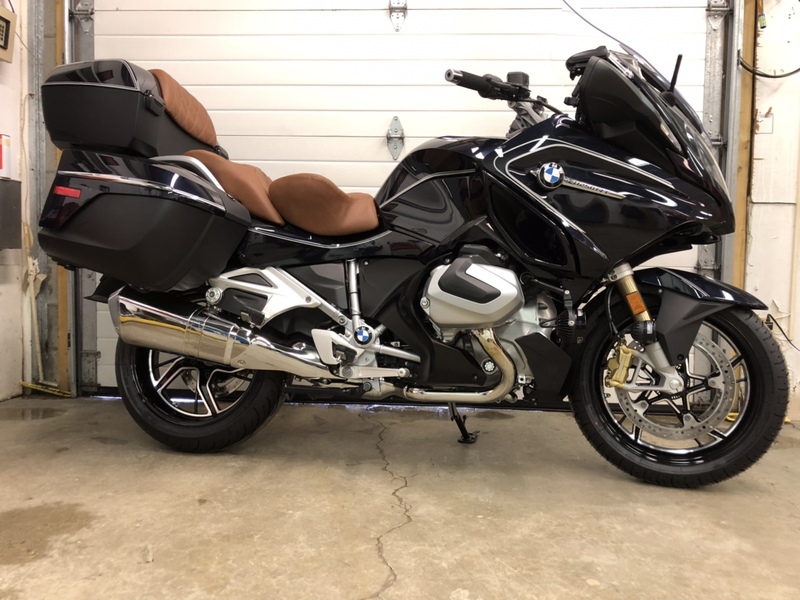 I like the GSA hand guards, and was wondering about the addition of these to the RT for extreme winter usage. It was nice to have the bike. It was great to give it back again. 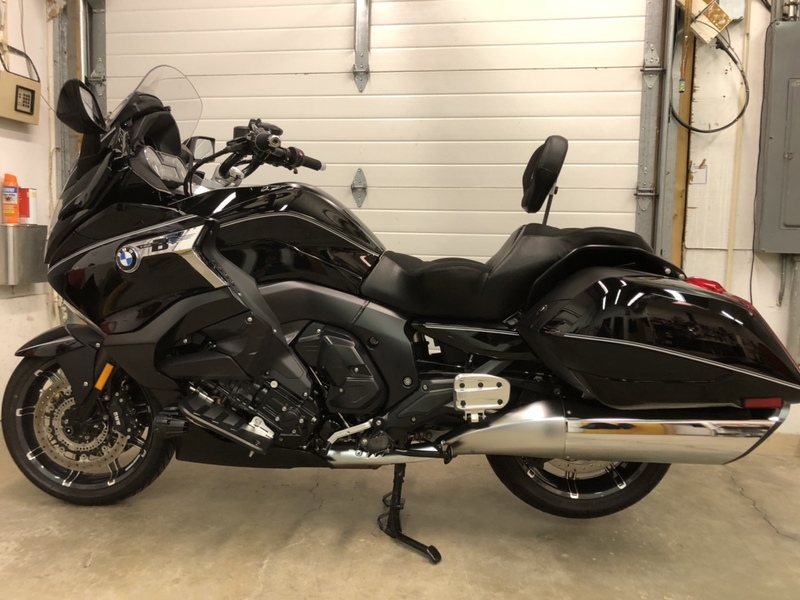 Probability is high that the 1250 in my future will be another RT, but the big attraction of the GS/GSA is the lower weight for ease of manhandling for when I get into tight situations, which rarely happen, but I do have some paranoia about such incident! I am very spoil with the weather protection and low noise level of the RT though. What ever bike it will be, will be the last bike that I will ever ride! When I cannot handle a 2-wheels anymore, I will give it all up. 3-wheeler is not an option for me at all. 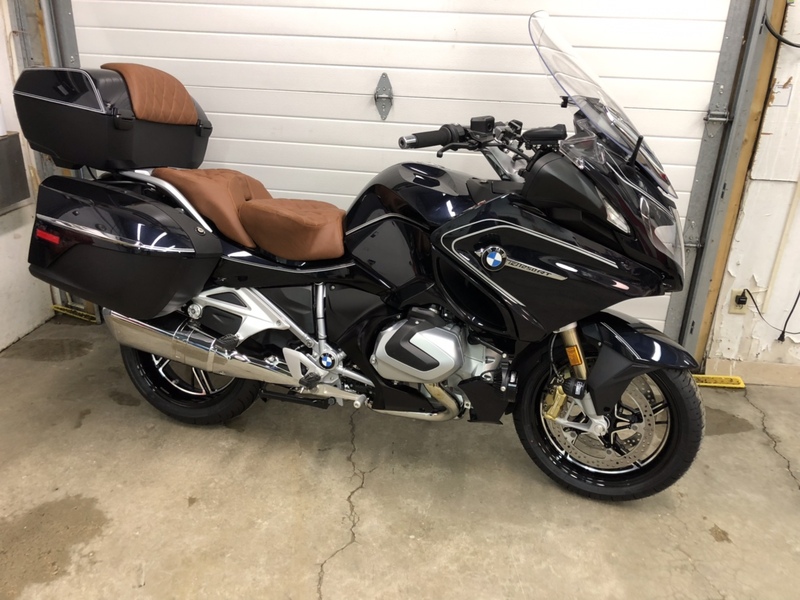 My BMW dealer now (Wednesday April 3, 2019) has a 2019 Spezial Blue Planet Metallic R1250RT with tan saddles in stock. Just received it yesterday. I will go there tomorrow or Friday to see and drool over it. Superb looking bike. However, I don't like the wheels. Looks like a russell seat. What? Ruin my reputation by letting out secrets? I appreciate your comment and welcome them. I am very pleased how they look on my bike. They have two versions or cast wheels available classic (gray) and sport (black). I chose the black and happy with them and the look they give my bike. D.Kinsey and deserttan like this. 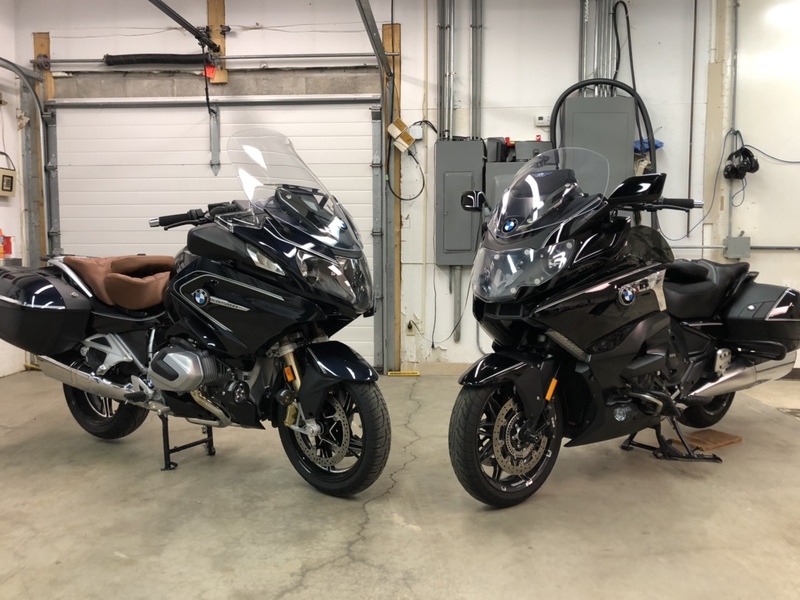 The left one is a 2019 R1250RT. Do not know about the right one. 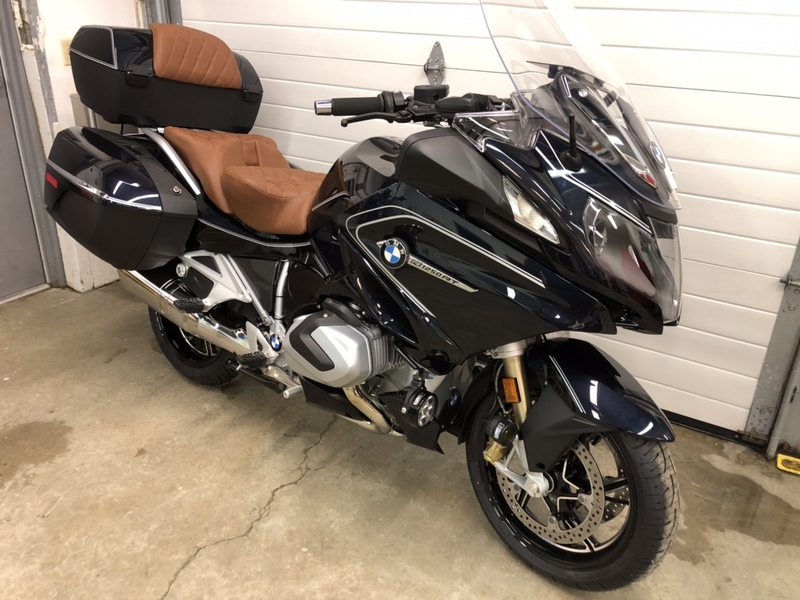 2018 K1600B....Did you purchase a R1250RT? 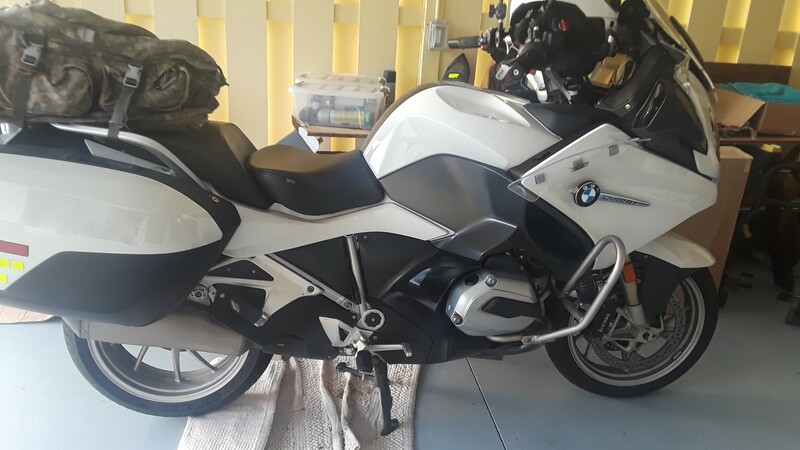 They have one at Iron Horse BMW in Tucson I seen it yesterday when picking my 2016 up from 36k service.... It looks beautiful!! !